Dementia is a name given to a chronic functional problem where the patient suffers from memory loss, personality changes, inability to concentrate and perform normal tasks and emotional instability for no apparent reason. Other names are Alzheimer’s disease and pre-Senile Dementia. It is often associated with other chronic degenerative diseases like high blood pressure, heart disease, and diabetes. Often times the patient is taking medications to treat the symptoms of other diseases. Dementia is almost always multi-factorial. Some of the contributing causes may be high levels of oxidative stress, malnutrition, vitamin deficiencies, poor bowel health, hormonal imbalances, metabolic imbalances, environmental exposure to biotoxins like mold, and poor glycemic control. Often times, high estrogen, low progesterone ratios, is contributory. Symptomatic treatment is almost always unsuccessful. Only finding and treating the root cause of the problem will lead to a successful outcome. Patients that suffer from dementia must pay very close attention to their diets. Many of these patients suffer from excessive levels of free fatty acids in their brains. Therefore they need to avoid things like fried foods, food additives, neurotoxic agents (MSG, aspartame, nitrates, nitrites) They may also suffer from low blood sugar problems. Low blood sugar will affect brain chemistry as glucose is the major fuel for the brain. Therefore, low blood sugar is one of the primary culprits involved in dementia. However, high blood sugar can also contribute to dementia as high sugar levels accelerate the damage done by oxidative stress. A very common, poorly recognized cause of dementia is brain inflammation as the result of exposure to a water-damaged building (WDB) and resulting biotoxin (mold) illness. 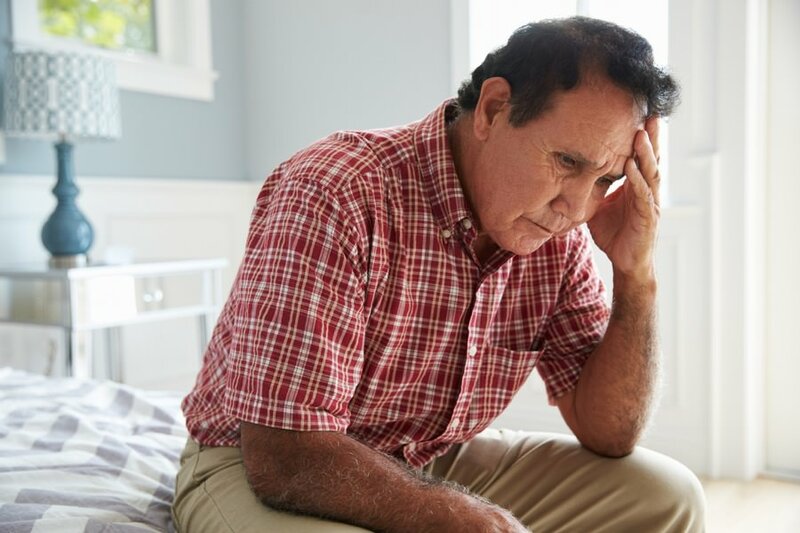 If you are suffering from the symptoms of Pre-Senile Dementia and are looking for effective, metabolically directed treatments, contact us online or call (732) 268-7663 for a consultation.